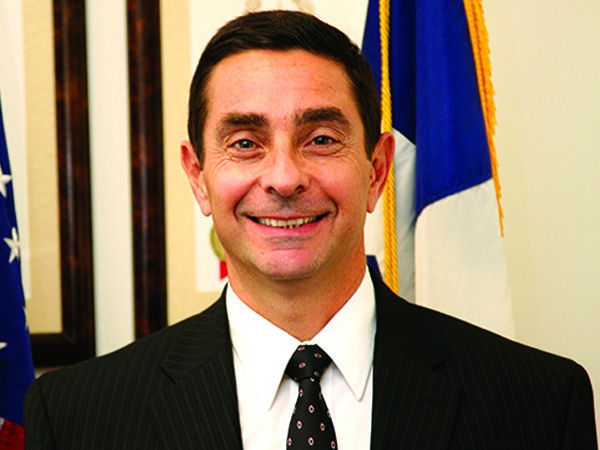 Thomas Palladino was selected as the Executive Director of the Texas Veterans Commission on October 1, 2010. 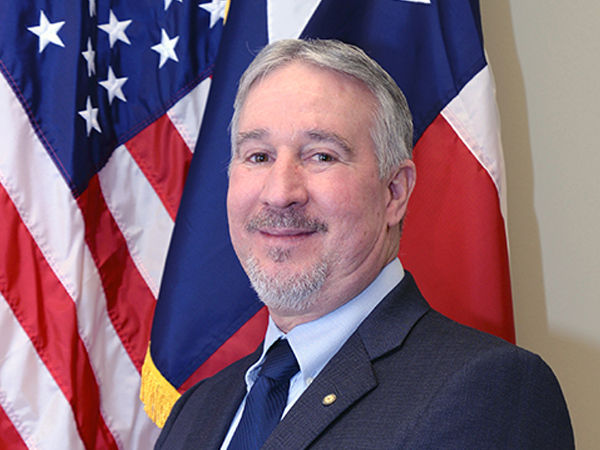 In this position, he is responsible for directing the overall administration of the agency and provides leadership for all stakeholders within the State of Texas to accomplish its mission which is to advocate for and provide superior service to veterans that will significantly improve the quality of life for all Texas veterans, their families, and their survivors. He retired as a Colonel from the U.S. Army in September 2009 after 27 years of service (1982-2009). During this time Tom Palladino served in both the active U.S. Army and the Texas Army National Guard as an Active Guard Reserve officer. As an Armored Cavalry Officer during the Cold War he served in the 11th Armored Cavalry Regiment (Blackhorse) and patrolled the East-West Germany border in the Fulda Gap. He also served as an Armored Cavalry Troop Commander in the 3rd Armored Cavalry Regiment (Brave Rifles) at Ft. Bliss, Texas. In the Texas Army National Guard, Tom Palladino served under the Adjutant General where he provided needed support and assistance to Texas National Guard Soldiers, Airmen, and military family members. He coordinated a state-wide collaborative partnership among all federal, state, and local organizations to enhance benefits and services for all military veterans and their families in the State of Texas. 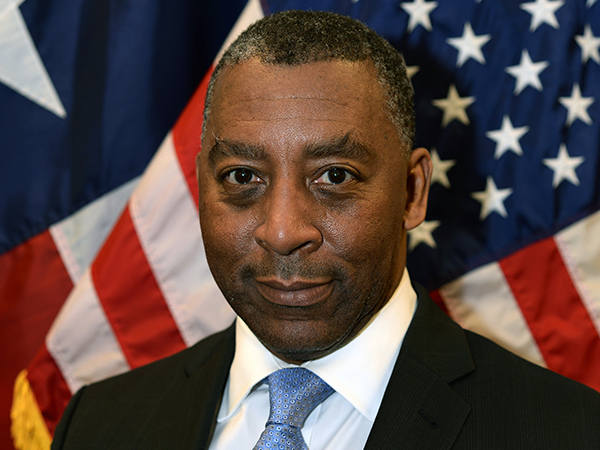 He also served as an Associate Professor of Military Science (Army ROTC) at the University of Texas at Austin and an Associate Professor in Government at Austin Community College. As a Texas Public School Social Studies teacher, he taught High School and Middle School students in the Austin and Pflugerville Independent School Districts. 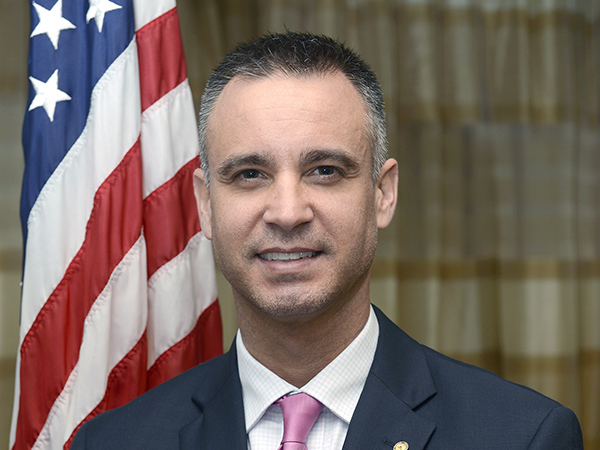 Tom Palladino’s education includes a BA in Political Science from Providence College, RI and a MA in Political Science from Southwest Texas State University, Texas. Additionally, he possesses a Texas Secondary Education Teaching Certificate and Texas Public School Principal’s Certification. His father, Victor, was a World War II Army Veteran who served in the Italian Campaign with the 5th US Army and both grandfathers were World War I Army Veterans who served with the 26th Infantry Division in France. Mr. Montemayor started with the Texas Veterans Commission in October 1999 and has held various positions including Veterans Counselor, Information and Training Coordinator, Director of Human Resources and Chief Administrative Officer and currently serves as the Deputy Executive Director as well as the Agency’s lead Mediator for internal and external dispute resolution. Mr. Montemayor holds a Master’s Degree in Organizational Management from the University of Phoenix and a Bachelor of Arts Degree from West Texas A&M University. 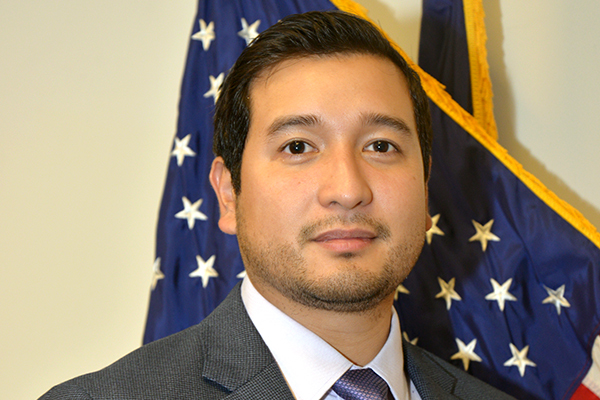 Mr. Montemayor is a graduate of the Lyndon B. Johnson School of Public Affairs – Governor’s Executive Development Program and a 2016 Fellow with the Center for Public Policy Dispute Resolution at the University of Texas. Mr. Montemayor has been a credentialed Mediator in the State of Texas since 2012. 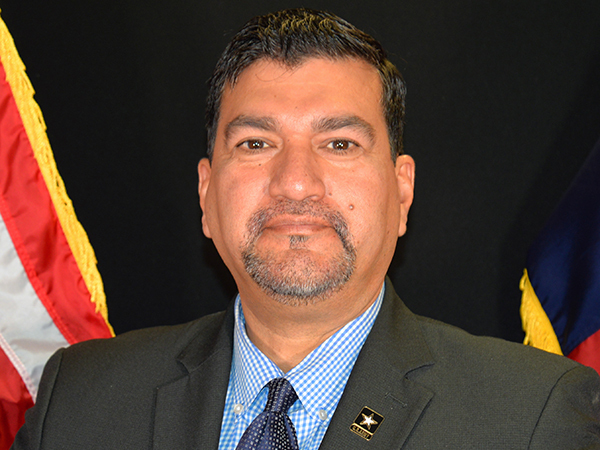 Mr. Montemayor is a member of the Society of Human Resources Management, the Society of Government Meeting Professionals, the Texas State Agency Business Administrators’ Association and an associate member of the National Association of State Directors of Veterans Affairs. Mr. Montemayor served in the United States Army as a Non-Commissioned Officer in the Adjutant General’s Corps from 1986-1994 and is the recipient of the 7th Army NCO Academy Distinguished Graduate Award, the Meritorious Service Medal, the Army Commendation Medal (2nd oak leaf cluster) and the Army Achievement Medal (1st oak leaf cluster). He served tours in Fort Sam Houston, Texas, Elefsis, Greece and Fort Hood, Texas. Mr. Montemayor’s father was a World War II Army Veteran who served in the Far East Campaign (Japan), his Grandfather was a World War I Army Veteran who served in France,his Son, Cruz Jr., is a Navy Veteran and served aboard the USS George Washington (CVN-73) during the 2011 Tōhoku earthquake and tsunami and participated in the relief operations following the disaster. Mr. Montemayor and his wife Linda have two children and two grandsons and currently reside in Pflugerville, Texas. 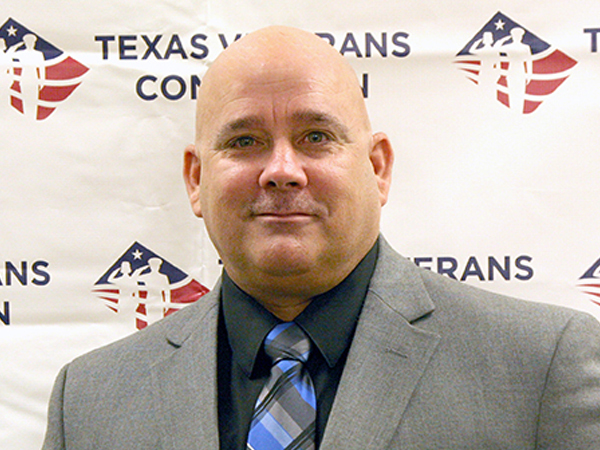 Shawn Deabay is the Division Director, Program Operations at the Texas Veterans Commission with responsibility for Veterans Employment Services, Claims Representation & Counseling, Healthcare Advocacy, Women Veterans Program, Veterans Entrepreneur Program, and Veterans Education. 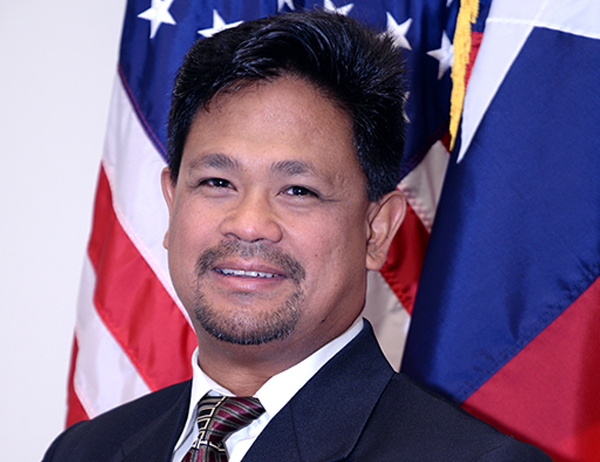 He earned his Bachelor of Science in Management from Park University and has over 17 years’ experience in the Veterans Employment Services program with both the Texas Veterans Commission and the Texas Workforce Commission. Shawn began his career as a Disabled Veterans Outreach Program Specialist in the Lufkin Workforce Center. 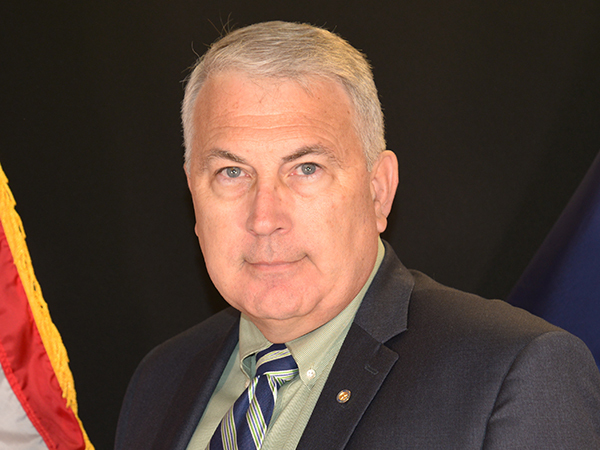 He has also served as a Local Veterans Employment Representative, the Regional Veterans Employment Representative for East Texas, Operations Specialist, Operations Manager, and the Employment Services Director. Mr. Deabay received a National Employment Services Award from the Disabled American Veterans for his service to disabled veterans in 2006 as well as receiving State Employment Awards from the Disabled American Veterans and American Legion. He served with the Maine National Guard from 1990 to 1992 and served on active duty in the United States Army from 1992 to 1998. 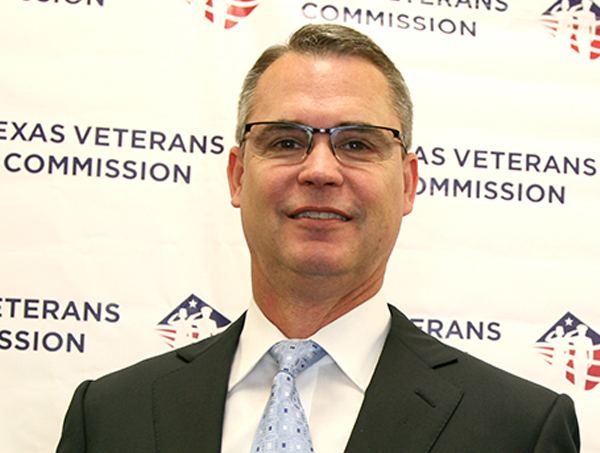 Glenn Tramel joined the Texas Veterans Commission as the Director of Human Resources on November 1, 2015. He retired as a Command Sergeant Major from the US Army in March 2015 after more than 28 years of service (1986-2015). During this time, Glenn served primarily as an Armored Cavalryman on the M60A3 and M1 Series tanks. As a First Sergeant in the 1st Cavalry Division, Glenn made multiple combat deployments to Iraq. Later, he served as the Command Sergeant Major for the 1st Squadron, 11th Armored Cavalry Regiment (Blackhorse) at the National Training Center, Fort Irwin, California and the 2nd Battalion, 60th Infantry (Scouts Out) at Fort Jackson, South Carolina. Glenn’s education includes a BS in Business Administration from Trident University International in Cypress, California and MA degrees in Human Resources Management and Management & Leadership from Webster University in St. Louis, Missouri. Glenn and his wife, Nyhma, reside in Salado, Texas. Michelle Nall has been in state government since March of 1999. 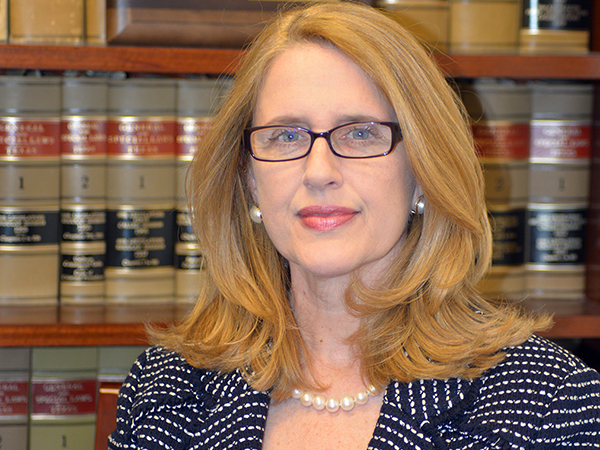 She started as an Accounting Clerk with the Office of the Attorney General. Within the OAG, she moved on to be a Grants Accountant then spent the last 10 years with the OAG as a Budget Analyst. She then transferred over to the Texas Department of Emergency Management within Department of Public Safety for a year. Then in August 2011, she transferred over to the Texas Veterans Commission as a Budget Manager. 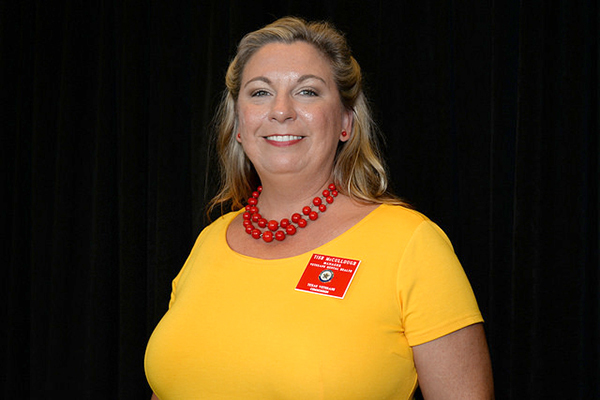 In June 2015, Michelle Nall was promoted as TVC’s Chief Financial Officer. Michelle received her Bachelor’s in Business Administration from Le Tourneau University. She enjoys running and spending every free moment with family and friends. Michelle and her husband, Harold, reside in Austin, Texas and they have one daughter, Natalie. 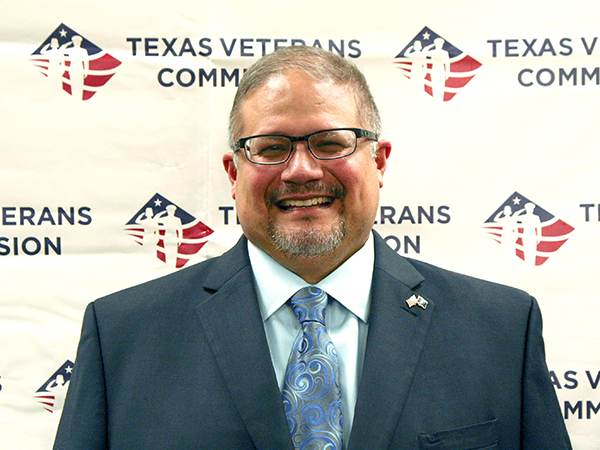 Peter Donton joined the Texas Veteran’s Commission in August of 2014 as the programmer and database administrator before advancing to his current designation as the Information Resources Manager. He served seven years with the U.S. Army and four years with the Texas Army National Guard. He has a BA in Economics from the University of Texas-Austin and resides in Cedar Park. Peter enjoys the occasional karaoke night out with his wife and frequent visits to neighborhood parks with his two kids. 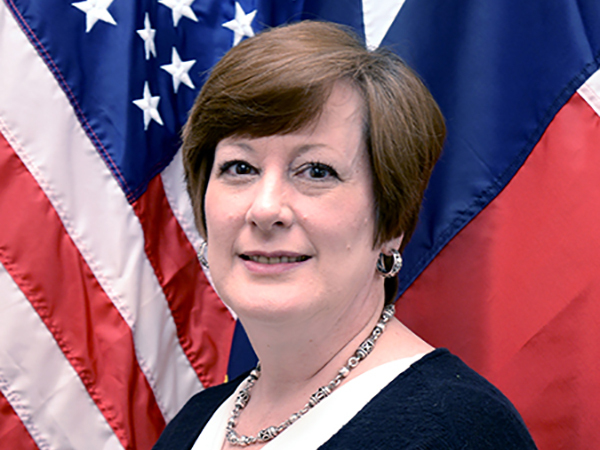 As director of the TVC Veterans Education Program, Sue works with a team of talented individuals who connect Texas veterans to higher education and technical training opportunities. Sue is a U. S. Marine Corps veteran; human resources and training and development professional; and former faculty member in higher education. She has earned master degrees in business administration and human resource management and holds a Senior Professional in Human Resources certification. Elaine is a dedicated professional whose calling is public service committed to assisting our state’s veterans and their families. 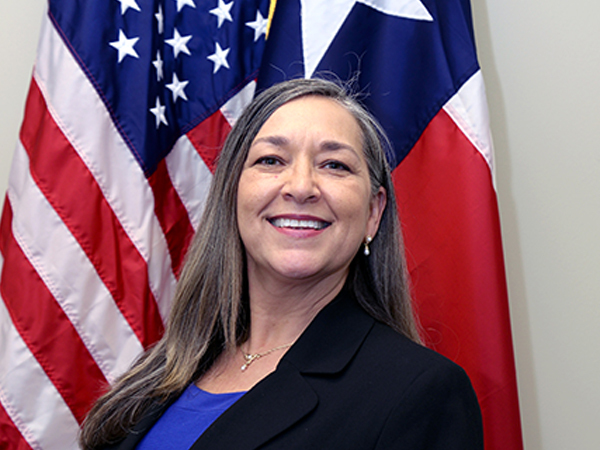 She is appointed to the State Employee Charitable Campaign Advisory Committee for the state of Texas with a term ending 2019. Ms. Zavala has active memberships with the Harry Ransom Center and the American Society for Public Administration where she currently serves as President for the Central Texas Chapter. Elaine is a TexasExes Lifetime Member and Texas State Alumni Life Member. Dedicating her time as well to be a member of the Young Catholic Professionals and Texas State University’s Advisory Council. Ms. Zavala received a Bachelor of Science in advertising from The University of Texas at Austin and a Master of Public Administration from Texas State University. Tim Shatto was selected as the Director, Veterans Employment Services on September 1, 2017. Tim began his career with the Texas Veterans Commission in December 2010 as a Local Veterans Employment Representative in Wichita Falls, TX. In January 2014, Tim was transferred to Austin, TX where he began the Veterans in Government initiative, which focused on the government sector and better enabling them to understand and implement Veteran’s Preference. In April 2014, Tim began his duties as the Operations Manager, Veterans Employment Services and responsible for the daily activities of the Jobs for Veterans State Grant. Tim Shatto was born and raised in Orrick, MO and enlisted in the United States Marine Corps in September 1981. Tim retired as Sergeant Major in September 2010 after 29 years of honest and faithful service. 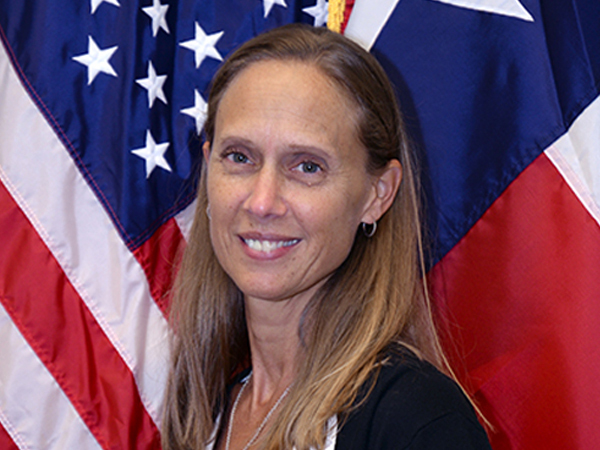 Anna Baker, MBA, is the Manager of the Texas Veterans Commission Women Veterans Program. She served in the Air Force from 1980 to 1984 as a Korean and Spanish translator/interpreter. Before joining the Texas Veterans Commission, she led sales, operations and project management for Dell Inc. and for Tech Data Corporation. Helping others achieve success through mentoring and coaching, building business relationships, and serving the needs of customers has been the hallmark of her career. 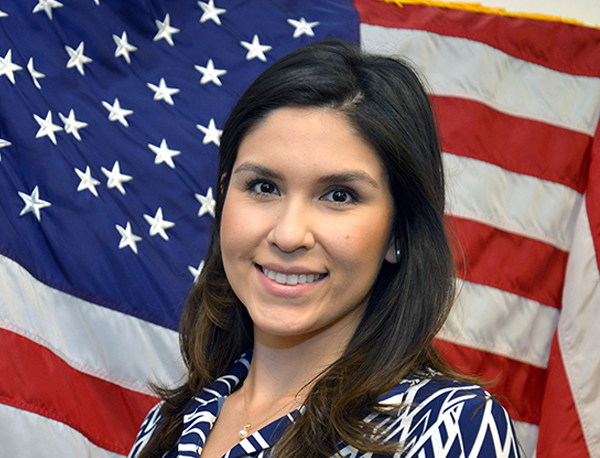 Krystle Matthews is the Women Veterans Program Manager starting March 15, 2019. Krystle currently serves as the Women Veterans Employment Coordinator and has been with TVC for 5 years. 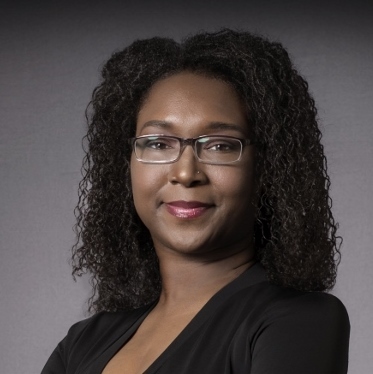 Krystle holds a bachelor’s in Technical Management, a master’s in Human Resource Development, and quickly approaching her doctorate in Education. She dedicates not only her work time to serving veterans, but volunteers as well.